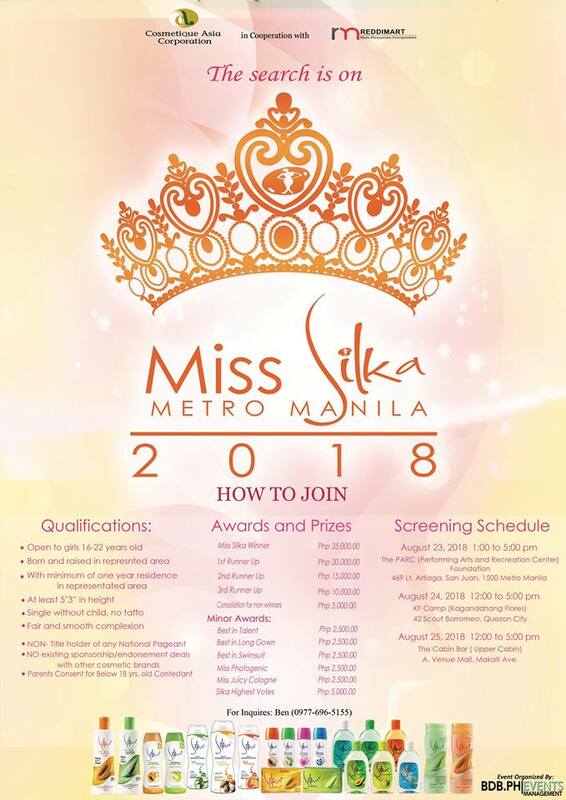 Miss Silka Metro Manila 2018 searches for its new strong candidates. 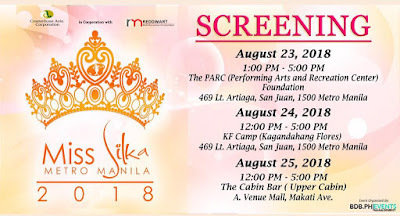 Screening of candidates (Go-see) will be held on August 23-25. This pageant is presented by Cosmetique Asia Corporation, in cooperation with Reddimart Multi-Resources Incorporated, and organized by BDB.PH Events Management. This competition is a regionial-wide event that aims to discover and develop young talents and product ambassadress. 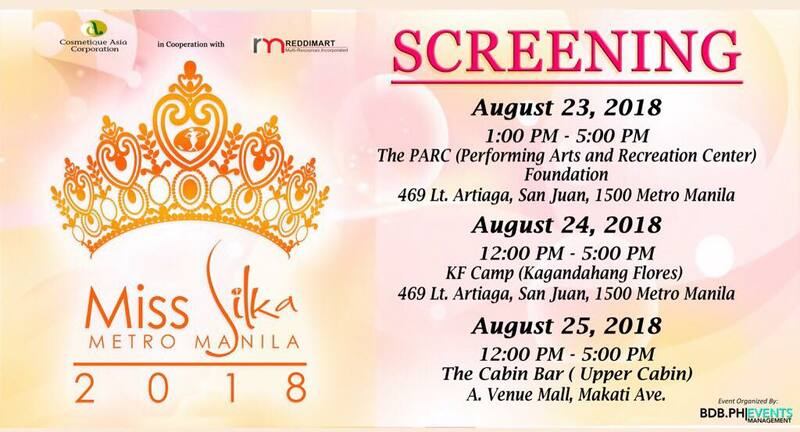 The winner will be representing Metro Manila to Miss Silka Philippines 2018 slated in November this year. The pageant's main objective is to widen its scope to reach out to more youth in the regions and to provide them with productive activities for self-development and welfare.